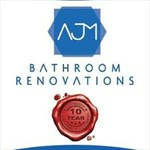 Our team are specifically trained to be able to help you create the bathroom you've always wanted. Our team are specifically trained to be able to help you create the bathroom you've always wanted. Whether this is just updating a tired old bathroom, or a doing a complete redesign and renovation, we can help you achieve it.